We have noted common error codes across these platforms. Following is a list of the most common fault codes we encounter with Palomar systems, all of which we can repair. Error code 68 is related to your power supply – it will need to be serviced or replaced. 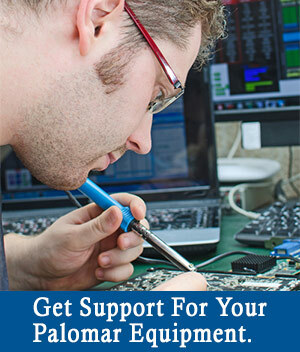 Error code 69 is related to your power supply – it will need to be serviced or replaced. Error code 73 is a broken wire error – we can quickly repair this. Error code 81 is a CPU issue – we can diagnose and repair or replace the CPU. Error code 83 – your system needs an upgrade – contact us for more information! By far the most common error we consistently encounter is error code 79. This is related to water flow and is something that can easily be addressed. Error Codes: 64,68,66,69,42 are all related to power supply issues – we have parts in stock to get your system up and running.